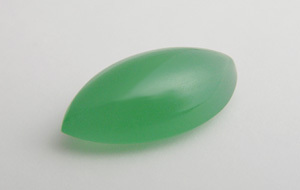 A variety of chalcedony coloured by Cr compounds. Also known as mtorolite. 1 specimen: 0610 — 6.08 ct, Zimbabwe, Mashonaland West, Makonde, Mutorashanga.